Miami (AFP) - Defending champions Novak Djokovic and Serena Williams launched their Miami Open repeat bids in constrasting style on Saturday, Djokovic battling past Martin Klizan as Williams cruised into the third round. 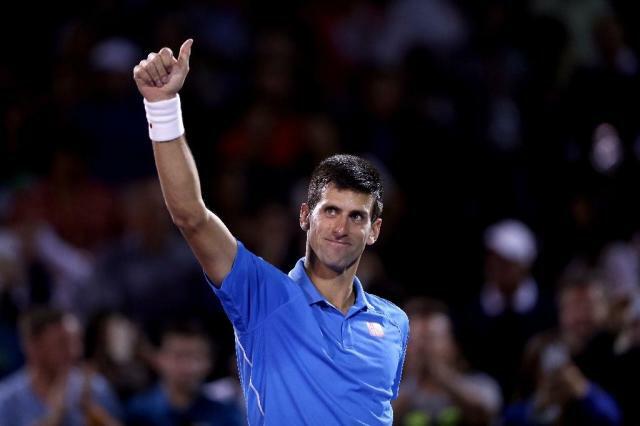 Djokovic, the top seed who is looking for a fifth Miami Masters crown, had to work for his 6-0, 5-7, 6-1 second-round victory over Slovakia's Klizan. The world number one, who beat Roger Federer last weekend for the Indian Wells crown in California, is hoping to duplicate his North American March hardcourt title double of last year. In fact, the Serb is bidding to become the first man to complete the sweep three times. He looked well on his way to a quick win when he snapped up the opening set against his 41st-ranked opponent in 23 minutes. He won the first seven games before Klizan got onto the scoreboard and appeared set to serve out a quick victory with a 5-3 lead in the second. But he dropped his serve and Klizan went on to win the second set before Djokovic re-established control and earned the victory after one hour, 56 minutes. ​"Credit to Martin for battling and making me play an extra shot," Djokovic said. "It was a pretty different game in the second set than it was in the first. "I obviously felt great in the beginning of the match, and then in the opening three games of the second set I made two double faults and kind of got him got into the match. "I did drop the level at the second set, but in the third I managed to bounce back and get a win." Djokovic next plays Belgian qualifier Steve Darcis, a 6-4, 6-7 (2/7), 6-3 winner over Gilles Muller. "I hope to have another great week in Miami," Djokovic said of his quest for another career milestone. "I've played some of my best tennis on these courts." Women's world number one Williams had little trouble in a 6-3, 6-1 victory over Monica Niculescu. The 33-year-old American, who had a much harder time getting past the Romanian spin-merchant in her Indian Wells opener, showed no sign of the knee injury that forced her to forfeit her quarter-final in California last week. "It was a little sore in practice, but it was OK today," Williams said of her knee. "I really didn't feel it today, to be honest. "Once you step out on the court you have so much adrenaline going. The adrenaline kind of kills it. So I was surprised. 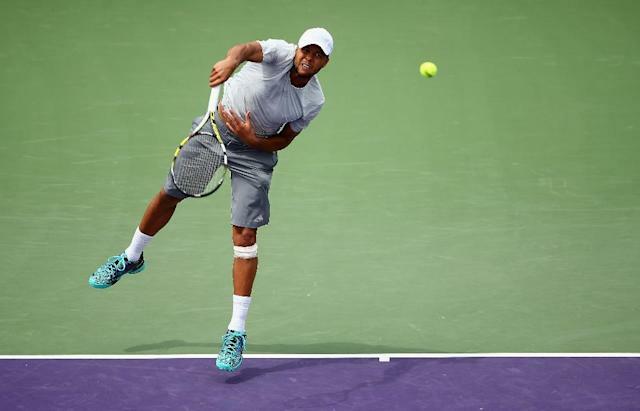 I felt pretty good," added Williams, who is seeking an eighth Miami crown. The 33-year-old American star next faces 15-year-old compatriot Catherine "CiCi" Bellis. Bellis advanced with a 6-2, 6-1 win over 29th-seeded Zarina Diyas on Friday. 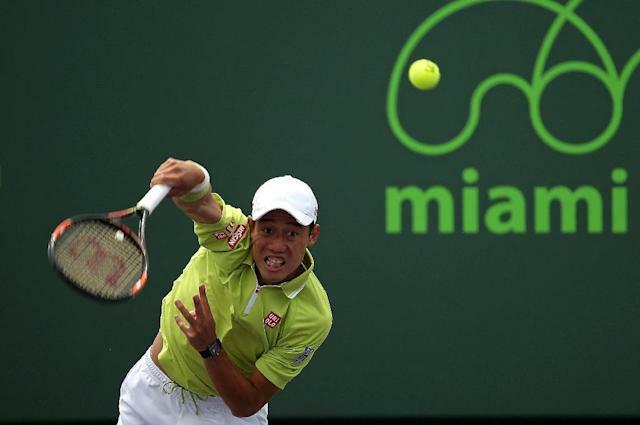 In other men's matches, Japanese fourth seed Kei Nishikori defeated Russian Mikhail Youzhny 6-2, 6-1. Canadian fifth seed Milos Raonic beat Teimuraz Gabashvili 6-1, 6-4 while Spanish sixth seed David Ferrer beat Argentine Federico Delbonis 6-1, 6-1. French 11th-seeded Jo-Wilfried Tsonga celebrated his return from a lingering arm injury with a 6-4, 3-6, 6-3 win over American Tim Smyczek. Tsonga, who hadn't played since France's Davis Cup tie against Switzerland in November, said he was satisfied with his 2015 debut. "I didn't expect to play my best tennis today ever, but I'm happy the way I managed my match," said Tsonga. "I played pretty solid, I just had a little hole in the second set." While Williams looked sharp in her second-round match postponed from Friday by rain, sixth-seeded Canadian Eugenie Bouchard fell at the first hurdle, beaten 6-0, 7-6 (7/4) by German qualifier Tatjana Maria. In women's third-round play, fourth-seeded Dane Caroline Wozniacki, Russian eighth-seed Ekaterina Makarova and ninth-seeded German Andrea Petkovic all advanced. Venus Williams also booked a fourth-round berth, with a 6-4, 7-6 (7/3) victory over Australian Samantha Stosur.